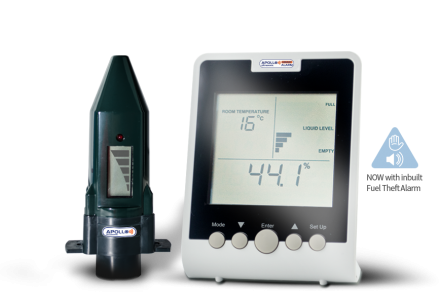 The Apollo wireless oil tank gauge range :: Certified remote oil levelmonitors available for domestic and commercial applications. 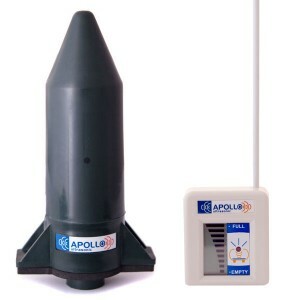 Apollo SMART..... The world's first energy monitor for domestic heating oil. The concept is simple, the probe with a battery powered transmitter is fitted to the oil storage tank which can then transfer the level information wirelesslyto a remote receiver located in either the home or office. The clear easy to read display indicates the remaining volume of fuel in the storage tank. When the level reaches a critically low point, thereceiver draws your attention to it.